Taste test: These are really good chips. 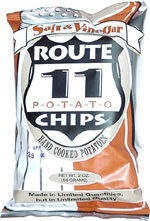 A kettle-style chip, these are thick and crunchy. They look a little darker than regular kettle chip, which would imply more oil, but that's not necessarily the case here. The salt & vinegar have a good balance, one isn't more dominant than the other. 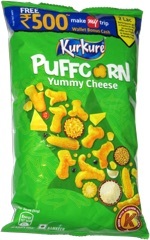 I enjoyed eating these chips. Smell test: A pretty strong vinegar aroma. This snack was contributed to Taquitos.net by the manufacturer.